Read page 10 of The Nightingale, by Hans Christian Andersen, and find out what will happen to the Emperor! 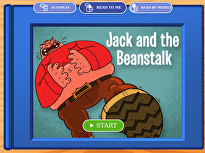 These story pages are great for kids to interact with their reading material. Color the illustrations as you go. Find the whole story in a slideshow. Read this final page of The Nightingale by Hans Christian Andersen. Be sure to color in the illustration to complete the story! In page two of The Nightingale by Hans Christian Andersen, the reader sees the nightingale singing in the palace gardens. Read and color this worksheet. Read page six from The Nightingale by Hans Christian Andersen. Read about the nightingale's life in the palace, and color in the illustration. As you continue with page 7 of The Nightingale by Hans Christian Andersen, be sure to color in the illustration as you read! After reading The Nightingale by Hans Christian Andersen, complete this comprehension page to test your understanding of the story. Find out what happens next in The Nightingale by Hans Christian Andersen. 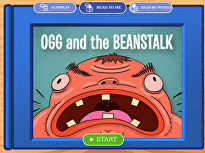 Your child can color in the illustration as he reads. Find out what happens next in The Nightingale by Hans Christian Andersen. Your child can color in the illustration as she reads! Color the nightingale in honor of the classic tale by Hans Christian Andersen.